Romantic resort in sunny and panoramic location, ideal for couples, medical wellness, gourmet cuisine, Mediterranean climate between mountain pastures and palms. 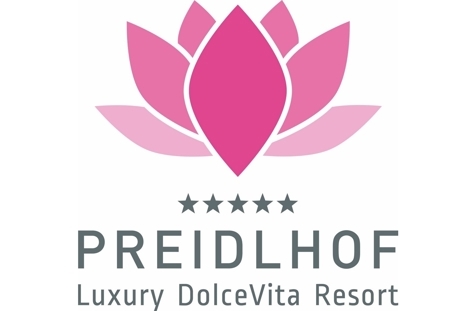 Welcome to Luxury DolceVita Resort Preidlhof***** in Naturns near Meran! Wellness, hiking and Dolce Vita. Far away from the hustle and bustle of everyday life, surrounded by orchards and vineyards, in a dreamlike location at the foot of the nature park Texel group you will find your Luxury DolceVita Resort Preidlhof***** in Naturns near Meran. Among the highlights are the ¾-Preidlhof gourmet board spoiling you all day long with vital delicacies, our beauty centre, wellness and spa area on more than 5,000 square meters with SPA tower on 6 floors, seven different saunas, relax pavilion next to the pool, Mediterranean water world of about 555 square and infinity sole pool, sky infinity sport pool, indoor and outdoor pools, whirlpools, summer pool with sandy beach and blue swimming grotto. Naturns, the nature park Texel group and the environs of our Hotel Preidlhof are well-known as paradise for nature lovers and active vacationers, offering circa 315 sunny days per year. In order to enable you to enjoy them to the full, we provide also weekly guided tours with our pros, for instance Nordic walking, hiking, mountain biking, cycling and much more. 56m² including 12m² outdoor living room, luxury box-spring bed with "Sleep-Fit-Health-System" 210 cm long, comfort professional cabinet system, 2 romantically designed chairs, Dolby-Surround-TV with Bluetooth, suitcase-style bar with wine, Nespresso & tea desk, "Love surprise", designer bathroom with multi-sensory shower for two with light & sound system and thermal bench, lady's beauty desk, separate washbasin for him & her, separate toilet and bidet, outdoor living room in a private setting & day bed for two, comfortable seating, aromatic herbs, radiant warmers and lantern. In our DolceVita Lodge. 52m² including 10m² southern-facing setting, classic, elegant natural wood furnishings, luxury box-spring bed with "Sleep-Fit Health-System" 210 cm, comfort cabinet system, writing and work table, Dolby-Surround TV with DVD player, small bar with wine, Nespresso & tea desk, "Love surprise", spacious luxury bathroom with relaxing shower for two, romantic bath, noble washbasin, separate toilet and bidet, comfortable relaxation furnishings on the balcony. In our Sonnenschlössl. 71m² including 6m² west or east-facing setting, classic, elegant natural wood furnishings, elegant corner suite with spacious living and sleeping area, luxury "Romantic dream" canopy bed with starry-sky effect with "Sleep-Fit Health-System" 210 cm, spacious comfort-cabinet system, large panoramic relaxation couch, writing and work table, romantic fireplace, Dolby-Surround TV with DVD player, small bar with wine, Nespresso & tea desk, "Love surprise", spacious luxury bathroom with relaxing shower for two, romantic bath, noble washbasin, separate toilet and bidet, comfortable relaxation furnishings on the balcony. In our Sonnenschlössl. Dancing improves your health at every age and keeps body & mind fit! Regardless of whether you’re a beginner or a professional, join us dancing in May! The High Mountain Trail of Merano circles the nature park Texelgruppe (the largest nature park in South Tyrol) with a length of nearly 100 km. Wine lovers and connoisseurs get their money's worth during these weeks. The special sauna event at Preidlhof! At Hotel Preidlhof you will find one of the largest pool landscapes of South Tyrol with a Mediterranean park, romantic corners and 6 Pools. A special week for sauna enthusiasts! Enjoy your sauna experience with different show infusions, internationally certified sauna attendants and a great info-programm all week. In this week we hike along the most beautiful irrigation channels of South Tyrol, we learninteresting facts about their history, enjoy the panoramic view and the beauty of the landscape. Special culinary weeks for gourmets with differently themed dinners every day, cookery courses, tastings, and a lot more. The Nature Park Texelgruppe, the largest nature park in South Tyrol with access directly behind the Hotel Preidlhof, forms the backdrop for unforgettable adventures. At Hotel Preidlhof you will find one of the largest pool landscapes of South Tyrol with a Mediterranean park, romantic corners and 440 m² of water surface. 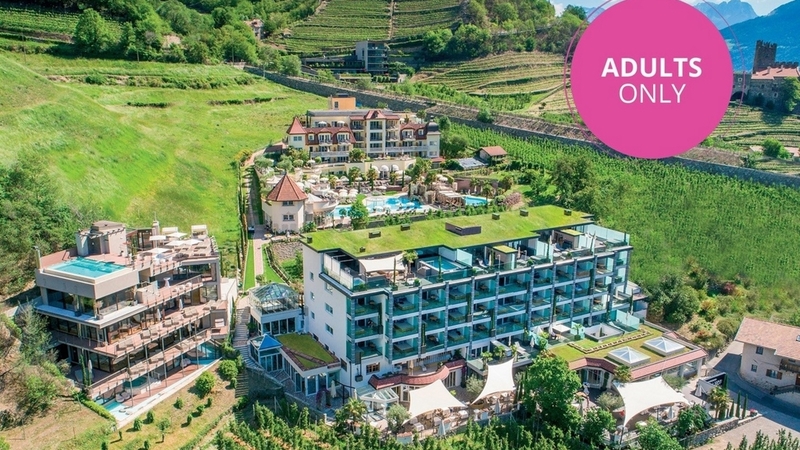 The most beautiful season in South Tyrol, pleasantly mild climate, lush vineyards and mature orchards invite you to excursions and our huge pool area round off the active day.